Bathroom remodeling offers a beautiful way to improve its functionality while also offering a great return on investment by increasing the value of your home. This type of project can vary from a few hundred dollars to tens of thousands of dollars, all depending on how extensive you're going to be. How Much Will It Cost To Remodel a Bathroom? According to an annual construction cost survey by Remodeling Magazine, a bathroom remodeling project for an average 35 - 70 sq ft bathroom comes in at around $18,000. This price can, of course, be in the region of $25,000 depending on your unique requirements and how extensive your project will be. Most homeowners, however, can spend less - between $2,500 and $9,500, on smaller essentials for their remodeling. Smaller bathrooms will naturally cost less to remodel, and may only require a few changes like adding some fixtures, changing the layout, some plumbing, electrical, or other minor changes. On average, your cost should come in at around $250 per sq ft for some remodeling. Let's consider a few possibilities that will influence the overall cost to remodel your bathroom so that you can start creating a budget. If you are interested in bathroom remodeling, it's highly recommended that you compare quotes from as many professionals in your area as possible. Comparing quotes will give you a clearer picture of how much you can expect to pay as well as allow you to choose a contractor that best understands your bathroom remodeling vision. It's important that you know what your intentions are for your bathroom remodeling project. Is it simply just for a style or color refresh, do you want a complete overhaul with modern fittings and porcelain ceramics, or is it for a specific family member - maybe you're outfitting it as a senior or kids bathroom. These are the important questions you need to ask yourself before speaking to a contractor. Think of how you would like your bathroom remodeled to blend with the rest of your home. Your bathroom can reflect on your lifestyle, whether it's a walk-in tub for a senior, a jacuzzi to relax in, or a new shower installation. All the features and accessories you choose will impact your overall cost to remodel a bathroom. One of the best ways to communicate your ideas with a professional contractor is to provide examples of your vision using pictures from decor magazines and online bathroom design sites. Providing more information ahead will secure a bathroom remodel just how you imagined it. When it comes to bathroom remodeling, you may be overwhelmed by the variety of bathtubs and showers available on the market. A pre-made tub/shower combo that essentially slides into the available space is an extremely popular option. It's efficient, less expensive to install, and usually costs a few hundred dollars. Naturally, this also depends on the size, but when it comes to an inexpensive option, this is the way to go. A wall-based bathtub is less expensive initially, but installing bathroom wall tiles ups the cost. If you have space, opting for a separate bathtub and shower is a great idea and really adds to the value of your home. This will possibly include new plumbing, and you'll also need a contractor. A stand alone bathtub takes up more space, but this may be essential for some homeowners who require, for example, a walk-in tub for daily hydrotherapy purposes. 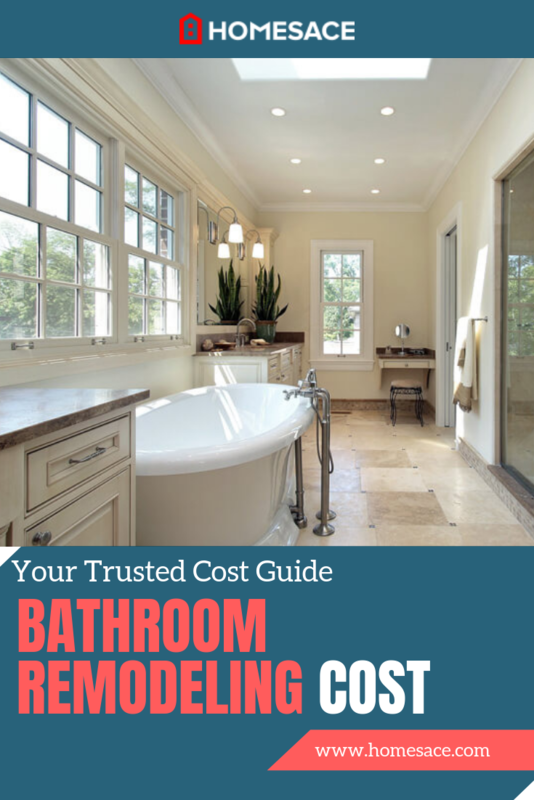 Are you interested in finding out what your overall cost to remodel a bathroom might be? You can get a 100% FREE quote from registered professionals in your local area. All you have to do is simply enter your home zip code in the space provided below and a contractor in your locale will reach out to you. There's no obligation to purchase, hire, or sign any contracts whatsoever, so don't hesitate to take advantage of this offer and get in touch with the best professionals near you now! Prices will vary based on the extent of your particular remodeling project. Get in touch with local professionals for a more accurate breakdown of the cost to remodel your bathroom.